Cllr Eddie Mulligan launching the "Make a Date with your City" campaign with representatives of many of Waterford City Centre's businesses. 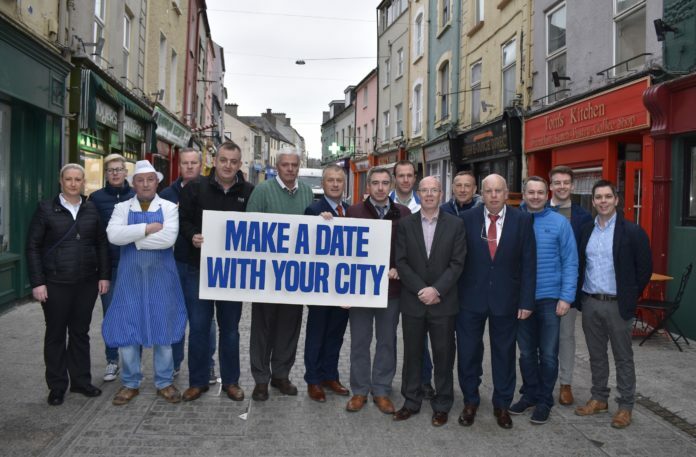 MAKE a date with your city is a new campaign launched by Fianna Fail Councillor Eddie Mulligan who has teamed up with a number of Waterford city centre businesses urging people to “get behind their city in a consistent and meaningful way”. Cllr Mulligan said Waterford was in a “precarious position” right now and that the people of Waterford are going to have to start “getting behind their city in a consistent and meaningful way,” to stop the downward trend of the city’s footfall and retail offering. “Waterford’s future is on a knife-edge at the moment,” Cllr Mulligan said. “We are on the cusp of some monumental change with imminent investment being nurtured for the North Quays, City Centre and Cork Road areas. “However, the local economy is still very fragile and many city centre businesses are continuing to report that trade is a challenge.” Cllr Mulligan says that he has been attending too many of the “wrong type of meetings” lately. “I’d much prefer to be attending meetings with outside investors, talking about Waterford’s massive potential, instead I’ve been meeting with current big-name retailers, trying to convince them to stay, and see out this difficult time in the city,” Cllr Mulligan said. Cllr Mulligan is asking people to “make a date with your city,” by arranging for meet-ups with friends in cafes, bars and restaurants as well as doing some shopping in some of our great local shops. 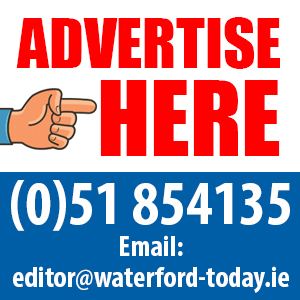 “The city centre is Waterford’s biggest employer with thousands of jobs depending on the support of the rest of the city and county,” Cllr Mulligan said. Cllr Mulligan says that the city’s politicians are working together to make the city “safer, better presented, cleaner and brighter” but “people power” is needed too. “I know that Waterford’s recovery is happening at a slower pace to the rest of the country, but unless we become more proactive in the city centre, we are at risk of losing more vital businesses,” he said. Next articleFancy owning a golf course?